Home Healthy Life Why you should eat flaxseed more often? 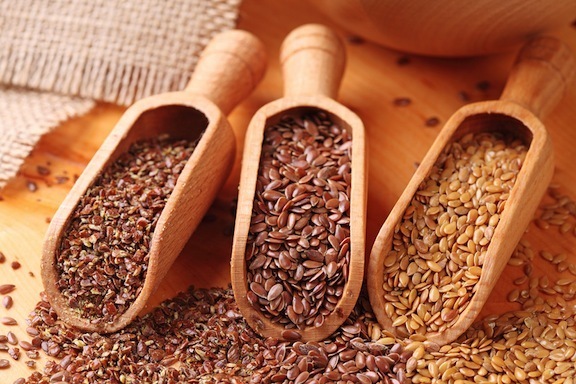 Why you should eat flaxseed more often? If you have problems with blood pressure, it’s time to actively include flax seeds in your diet. You’re bothered by hypertension? Then you need to start eating flax seed, it will help to keep your blood pressure under control, the Austrian scientists say it. People who consume 2 to 4 tablespoons whole or minced flax seed a day, there was a drop in blood pressure, which is quite enough to reduce the risk of stroke by 10 percent. Alpha-linolenic acid from flax reduces body fat, which have accumulated in our body, and thus prevents clogging of the arteries, scientists say. Add flax seed to your soups, salads, milk, yogurt, you can combine it with cereal .. Previous articleThe easiest trick for weight loss! Next articleA plan for Happiness: How to attract your soul mate?